A short and sweet weather outlook for this week. Our weather pattern remains largely the same with warm breezy days and cool crisp nights. Trick-or-treaters will have great weather Monday evening with warm temperatures, the only thing that may damper it a bit is the wind. Because winds are expected to breezy throughout the day, expect temperatures to drop steadily after sunset. Keep that in mind if you have any little ones out and about after dark. 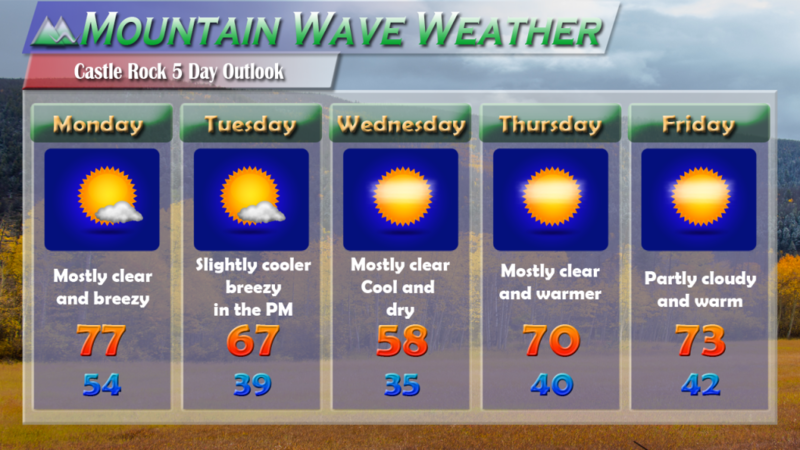 The rest of the week looks dry with a brief cooldown towards Wednesday. Much like the past couple of week’s this cool spell in the middle of the week doesn’t come with any decent chance of moisture for most of the state, especially the Palmer Divide region. How long till we get any snow or moisture in our area? I’ll have an update soon, as we see some promising changes ahead on some of the long range models. Stay tuned for that update later this week!